Although I read this book mostly to get a glimpse into the old days of Princeton and the surrounding areas, the book turned out to be so much more than that. 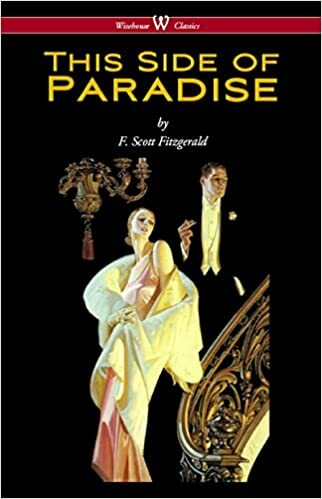 It is certainly not Fitzgerald’s best work, in fact it is far from it, but it is an interesting piece to read as I find myself in similar positions as the young Amory Blaine. Amory’s journey to find himself, the central story of the book, is weirdly familiar. The character, loosely based on Fitzgerald himself, embodies many characteristics I find useful to be wary of such as laziness, vanity, egotism and general superficiality. In conclusion, not the best read but very interesting nonetheless – especially as I am in the same context as Amory, just a century later. Through excellent storytelling and many examples, Ellenberg aims to have the reader appreciate the role math plays in everything from military tactics and everyday decision-making to Wall Street and presidential elections. Although I think the book would have given me more had my math education not been so fresh – it certainly gave me greater appreciation for how we are able to quantify and exemplify simple everyday reasoning with mathematical tools. The big picture reasoning of this very interesting book is exemplary, however as Friedman goes into greater detail the more sceptical one becomes. Although he continuously remarks that his forecast probably becomes less and less precise the further the book progresses, I unfortunately lost interest toward the end of the book – as it reminded me increasingly of science fiction. Interestingly, my biggest take-away from this work on the future of the world, was in fact a greater understanding of the world as it is today. Some examples are the reasons behind the United States’ huge defense budget, and the workings of Japan’s and China’s economies. This is one of the most important books I have ever read. That said, it could probably be condensed into about ten pages, as holds true for most self-improvement books. For example, an entire chapter can be summarized in one word: “Smile.” Dale Carnegie’s course-turned-book tries to encapsulate the simplest and most important elements of being social. Interestingly enough, some of his methods have become so wide-spread that people recognize them as clichés without knowing it. This eighties-reference heavy, dorky and excellent novel is the author Cline’s first ever. Unlike the other works featured on this page, the book is fictional and predominantly read for pleasure. However, the book did make me consider subjects such as online personality and anonymity. All-in-all an enjoyable book with a dork, such as me, being the perfect reader, even more so if said dork grew up during the 1980’s. 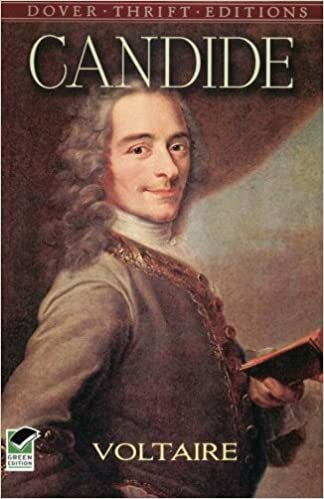 The book, allegedly written in just a few days by the French philosopher, is one a kind. It is morbidly hilarious and provides interesting insights to the later eighteenth century. Satire of philosophic optimism, war and the church is the main focus of the book, which of course is what made it so controversial in its time. Reading it today is consequently very interesting, as I found myself missing quite a few key points on my first read-through of some chapters, due to my taking the anti-war and, to some degree, anti-church position for granted. It was an excellently entertaining read, and I found myself involuntarily shaking my head at its witty humor and strange plot. In his book, Harari goes through the history of our species from our inception to the time of writing, and encourages us to learn something about ourselves from each era. It would have been foolish of me not to read this book, solely because of the immense spread it has enjoyed. 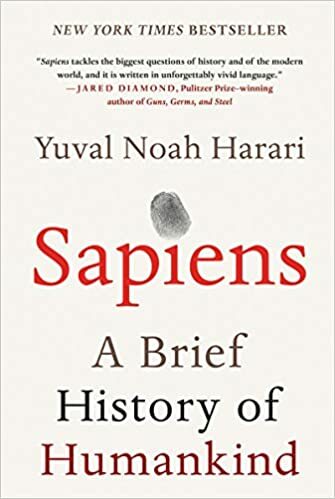 Sapiens to me is the book of general knowledge, having read it I find myself being able to engage in discussions with my peers much more well prepared than if I had never read the book. While reading, however, I often got the eerie feeling that many sentences missed a “however” followed by a subordinate clause presenting a different conclusion or hypothesis other than that of Harari’s. Indeed a substantial number of points in the book are presented as fact and consensus, without any specific sources. On the whole though, it has been an eye opening book filled with interesting observations that have been very valuable when absorbed with a grain of salt. Homo Deus picks up right where Sapiens left us and tells the story of humanity’s future into the 21st century. Homo Deus, like its predecessor is an excellent book for acquiring general knowledge. 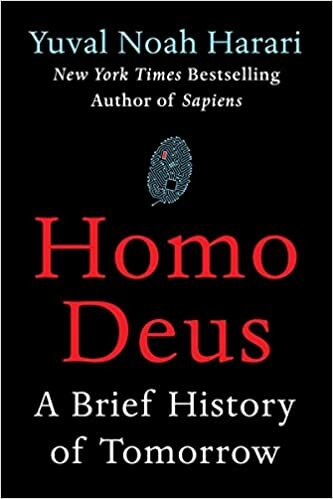 Although it has not enjoyed as much traction as Sapiens, I prefer Homo Deus. Not because of the forecast (of which I am skeptical akin to Harari himself who mentions this several times in the book), but because of the reasoning patterns about the future that Harari presents. It has given me greater appreciation for how much I rely on current religious and ideological “certainties” in my own thoughts about the future. This book was an excellent read at this time in my life, since I am in the middle of choosing my major and provide direction to my future.